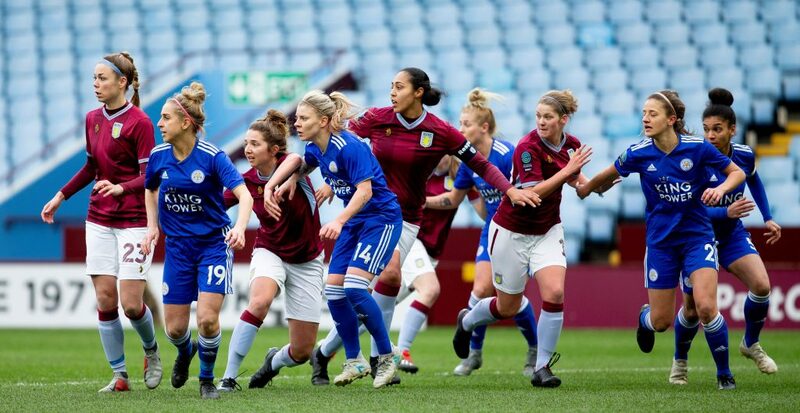 Following their well contested stalemate in front of 1,618 fans at Aston Villa FC’s home at Villa Park, we spoke to both Villa’s skipper Jade Richards and Leicester City’s Holly Morgan about the match and the different paths their teams have taken this season. Reporting by SOPHIE LAWSON. SK: First things first, what did you make of the match? JR: I think it was a fair result, frustrating for us as before the match we know that we should have gotten three points but it wasn’t our day. 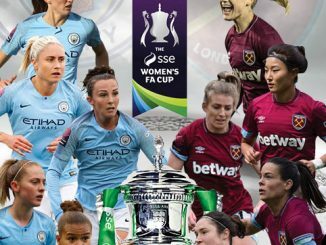 SK: It’s been a few years since the women’s team last played here [at Villa Park], is it good to be back? JR: This is my third time playing here and it’s always an honour play here and to see so many fans as well. SK: The match took a little while to get going but both teams had chances after the break, do you think you put on a good show for the crowd? JR: It was end–to–end, one minute you’re attacking the next you’re defending and obviously they had a goal ruled out for offside but then we had a few chances as well, some clear cut, some not so clear cut but it was a good game for the neutral. SK: Villa is a team that’s had its’ fair share of up and downs over the last few years, last season was certainly one to forget. Do you think that if this match had been played last season, that late flurry from Leicester would have gotten the better of you? JR: Last year, we hit 80 minutes and in the last ten we struggled but this year we’ve been fighting to the end. With the new coaching staff, new mentality in the group and the new way which we want to play, we’ve drilled that into everybody, we’re a team that works hard for each other. SK: There were a few wobbles at the start of the season, but you look almost a different team under Gemma [Davies], what’s been the main difference? JR: We’ve established our identity, that was the aim; we’ve established how we want to play.To be fair to all the coaches and everyone involve din the club, they’ve taken it on themselves to find out about us personally so they can deal with individuals differently. Some people like the hard talk, some like the softer approaches and that’s all it takes, a little bit of time to get to know your players and that makes a massive difference for us to all gel together and find out each other’s strengths and weaknesses. SK: It might not be the King Power, but how does it feel to be involved in these types of matches when you’re given the chance to come out and play in a stadium like this? HM: It’s really nice just to be in this environment when you have so many supporters, playing on a lovely pitch and a fantastic stadium, it makes the occasion. It’s really, really great to be here and we’ve thoroughly enjoyed it. SK: You’ve had some close contests with Villa and today was no exception, how did you find the match? 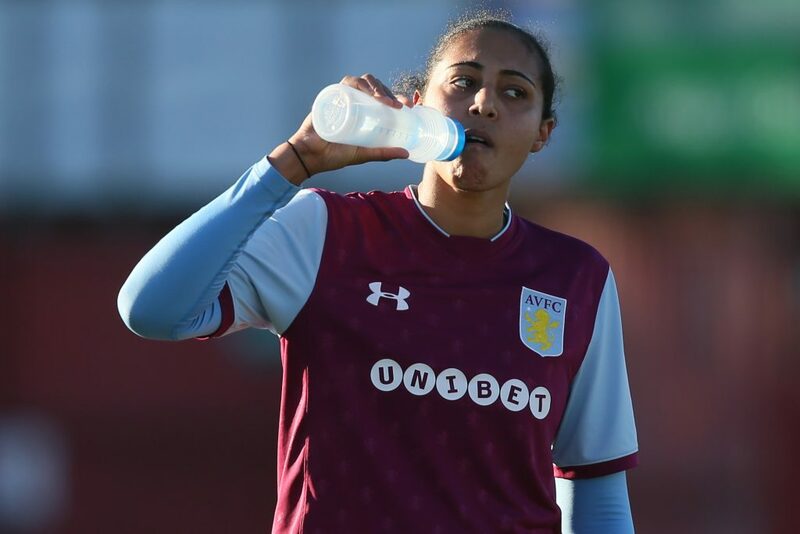 HM: Whenever we play Aston Villa, it’s a closely contested game – 0-0, 1-0 in the Conti Cup and 0-0 here – I think it was an entertaining match for the supporters, chances for both sides and I think we could have been a bit more clinical. SK: The team certainly seemed to show more in attack in the second half, what did Jonathan [Morgan] say at the break? HM: Our game plan… we were executing it but the pitch is quite bit so just to make sure we didn’t tire ourselves. So, he said, just to continue what we were doing but find the extra push we know we had but maybe didn’t show it in the first half. SK: It’s been an up and down season so far, as a team you’ve shown glimpses of what your capable of, how do you feel the team is progressing? HM: We’re starting to find our flow and our consistency and we’re only going to get better and harder to play against. 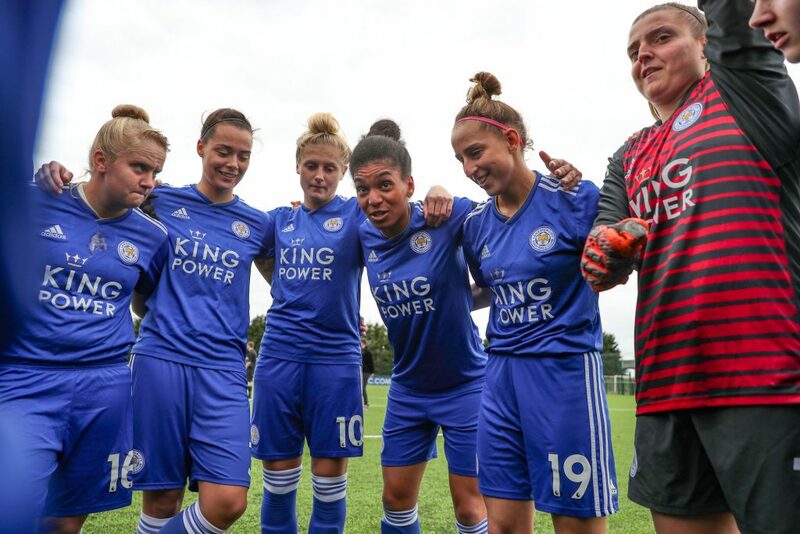 The first half of the season, we might not have shown the same grit and determination out there but for reminder of the season… we want to win every game we play and hopefully we showed that today that we anted to win but unfortunately it didn’t happen.